Landskappleiken (land = country, kappleik=competition) is an annual five-day festival/competition held at the end of June, attended by about 1,000 active fiddlers, singers, accordionists and dancers. An additional 5,000 to 7,000 spectators visit the festival annually. The event’s venue moves each year to a new town or city in Norway. 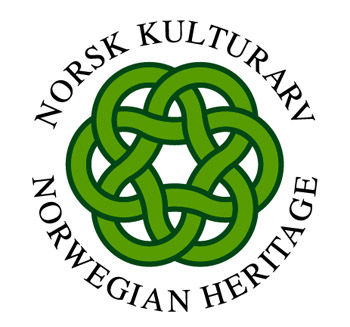 FolkOrg – the national organization for Norwegian folk music and dance – heads the festival, but each year a local organization is in charge of arrangements, usually one of the local folk musician groups. The first Landskappleik was held in Bergen in 1896. That makes this year’s competition the 120th. Originally, Landskappleiken was a competition for the Hardanger fiddle only. In 1924, the festival was opened to fiddlers playing the standard fiddle, but very few participated. In Norway, each region is dominated either by the Hardanger fiddle or the standard fiddle. Landskappleiken was not held in a “standard fiddle region” until 1954, when the town of Lom in Gudbrandsdal hosted the event. Since then, the standard fiddle has participated on equal footing with the Hardanger fiddle. It took many years before the Norwegian folk singing style known as “kveding” became a part of Landskappleiken. This first occurred in Notodden in 1958. 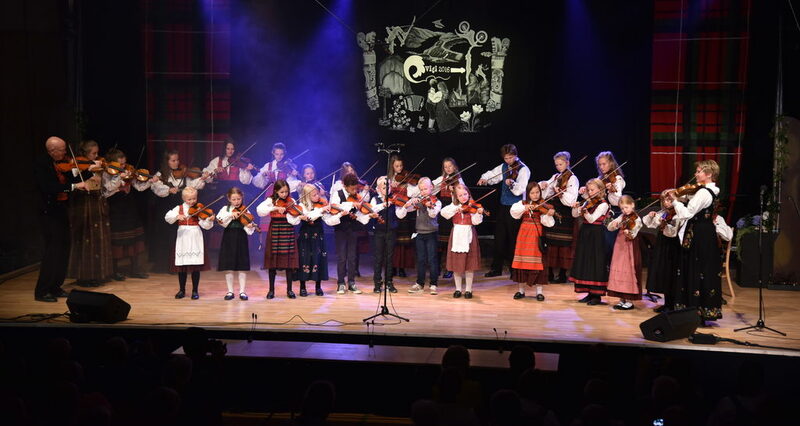 It was not until 1995, when the festival was held in Førde, that class divisions (that is, A-, B-, C- and D-classes) were introduced for vocal folk music, just as there had always been for fiddling. Dance junior 2016, Vågå spel- og dansalag.